Tomas Garza - The Gualco Group, Inc.
Tomas Garza is the Legislative Associate for The Gualco Group, Inc., joining the Firm in 2008. As such, Mr. Garza is tasked with assisting in lobbying efforts and client relations. Some of his duties include maintaining bills files and performing research on legislation. Mr. Garza also maintains the Firm’s legislative tracking system and website. Mr. Garza began his political career in 2002 working for then-Assembly Member Ed Chavez of the 57th Assembly District. 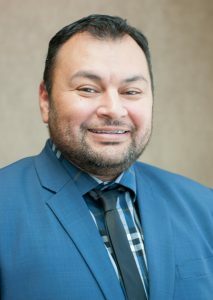 Originally hired as the Office Assistant, Tomas was afforded the opportunity to advance and hold various positions, including Legislative Assistant and ultimately acting Capitol Director. While serving the 57th District, Mr. Garza staffed legislation and analyzed bills relating to Health, Revenue and Taxation, and Veterans Affairs. Mr. Garza also staffed Assembly Member Chavez on the Select Committee on State Mandates. Subsequently, he spent some time working at the California Restaurant Association as a Legislative Assistant. While with the CRA, he assisted with CRA’s lobby day and reception, organized twice-yearly member policy seminars in Sacramento and managed the legislative tracking system. In 2016, Mr. Garza founded the Sacramento Youth Equestrian Academy, a non-profit organization whose mission is to extend equestrian sports and equine therapy to disadvantaged and foster youth in Sacramento County.